Dubai, United Arab Emirates, 06 February 2019: Dubai Food Festival (DFF) is set to bring back Hidden Gems, its annual list of the most appetizing culinary spots in the city – chosen by the city's residents. Through a partnership with food app Zomato, DFF gives Dubai residents and visitors the power to vote for their favourites from 40 shortlisted restaurants and cafes. Ten lucky voters will stand a chance to win big with Zomato, with each taking home AED1,000 and a year-long Zomato Gold membership (terms and conditions apply). Offering incredible flavours, the Hidden Gems are a pocket-friendly option to enjoy delicious meals every day of the week. To help the public try out food at multiple Hidden Gems before casting their votes, all 40 restaurants are offering a special DFF meal priced at AED35 per person from today until 2 March, with the 10 winners extending their menu until the festival ends on 9 March. All set menus can be viewed on individual restaurant pages on Zomato's website and their app, with an option for delivery. This year's shortlist reflects the diverse dining options across Dubai, from little eateries tucked into the streets of Al Muraqqabat, Al Rigga and Karama in Old Dubai, to lesser-known food havens in Downtown Dubai and JLT. There are plenty of restaurants to choose from including unique cuisine combinations like Mexican and Filipino as well as various vegan-friendly and gluten-free options. The list is also a must-try for those looking to taste Emirati flavours and recipes within the city. 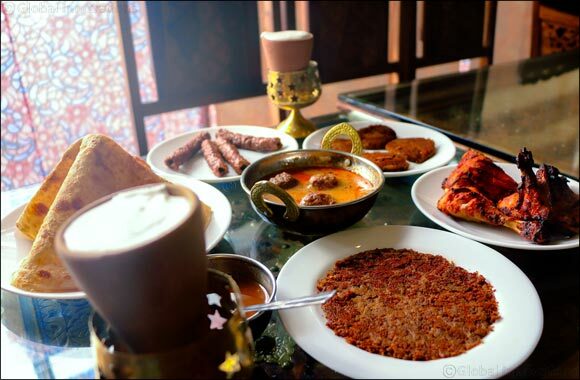 The Chicken Madfoon from Bait Al Mandi is a sight (and taste) to behold while the Balaleet and Khoboz Khameer from LocalAwi puts a modern twist on classic Emirati breakfast dishes.